GET READY, AGENTS. LAUNCH IS JUST THE BEGINNING. 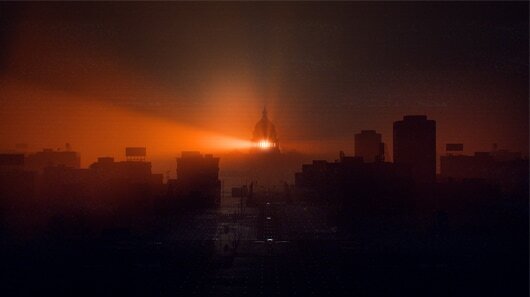 The first 8-player raid in the history of The Division 2 will arrive with the launch of Operation Dark Hours. 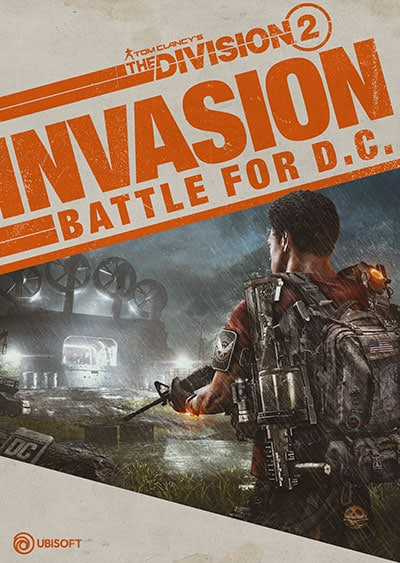 The Invasion: Battle for D.C. brings you the first major content update, including Tidal Basin, the first 8-man Raid, and more, with 3 Episodes following. Episodes are free major content updates with additional narratives and missions, new PvP and PvE modes as well as three entirely new specializations. 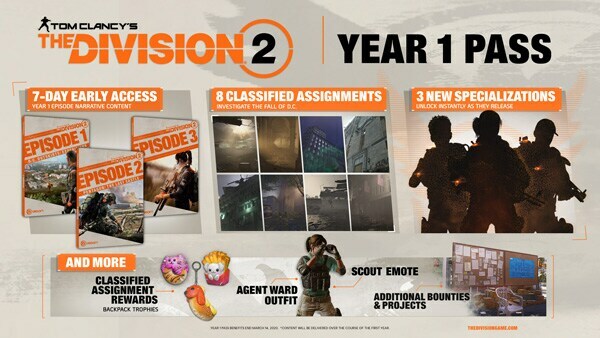 We will also introduce three entirely new specializations. Each of them will bring in a new unique signature weapon and skill tree to unlock and master. New endgame specializations will help you redefine your own personal playstyle as you take on new high-level challenges. 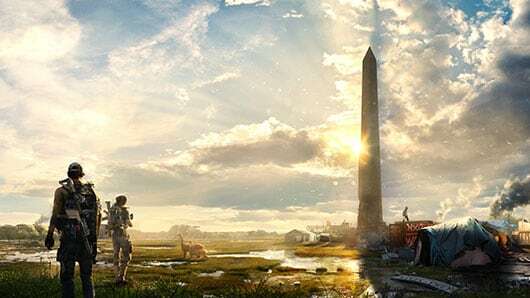 The Division 2 is an ever-evolving game that we are committed to keep improving upon as we listen to community feedback. There will be vast amounts of varied new content deployed in the coming months. No matter your playstyle, there will always be something new for you to experience. With the Year 1 Pass, you get access to one year of exclusive &amp; premium access to additional content.